ANZ is one of the 5 largest listed companies in Australia and number one bank in New Zealand with market capitalisation of AU$93.4b and total assets of A$896.5 billion as at 31 March 2017. We operate in 34 markets across Australia, New Zealand, Asia, Pacific, Europe, America and the Middle East. Our ~46,000 staff serves retail, commercial and institutional customers through consumer and corporate offerings in our core markets, and regional trade and capital flows across the region. We have over 550,000 shareholders with 41.8% being retail shareholders and 72.5% domestic shareholders. Our purpose is to help shape a world where people and communities thrive. That’s why we strive to create a balanced, sustainable economy in which everyone can take part and build a better life. We believe that the value of banking is not measured in dollars and cents. Its true worth lies in the relationships built by connecting people and businesses. It’s about unlocking opportunities that empower the community to transform and grow. Today, our history and experience merges with innovation. There are more facets to what we do than ever before, but everything is underpinned by the same values we’ve always had: Integrity, Collaboration, Accountability, Respect and Excellence (ICARE). ANZ is creating a truly vibrant, diverse and inclusive workforce, reflective of our customer base. In order to better understand the needs of our customers, we need the range of experiences, perspectives and backgrounds that only a diverse workforce can bring. Everyone at ANZ has the opportunity to progress, regardless of race, gender, age, disability, culture, sexual orientation, or gender identity. While we value academic achievement we’re also genuinely interested in what makes you unique. We expect the highest standards of customer focus, ethics and integrity and in return we help our people to develop and progress their careers with us. Aside from careers in banking and finance, ANZ offers careers in areas as diverse as information technology, marketing, human resources, operations and risk management, and we encourage our staff to explore careers across professional boundaries. "Teams behave differently when they’re more balanced. Whether it’s gender or ethnic background, people just behave differently in those environments. There's not much point collaborating where everybody thinks like you. So getting that diversity of thought is really important." Shayne Elliott, ANZ Group CEO, AFR Boss Magazine, February 2016. Our ANZ Pride Network, for LGBTI employees and straight allies, has supported our diversity and inclusion initiatives through education and awareness since 2007. It provides advice on policies and processes, promotes activities within and outside our business and provides support to LGBTI communities and allies. 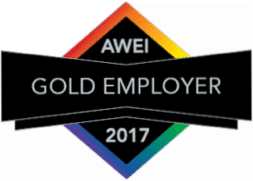 ANZ is proud to be recognised as a Gold Tier employer for LGBTI Inclusion in Australia and Hong Kong, and a Rainbow Tick Accredited organisation in New Zealand. Results of these benchmarks provide us with key areas of focus to inform our approach to LGBTI inclusion.